This is a complete guide to special events, holidays and festivals in Athens. Including free museum and archaeological site days, religious days, festivals, and events in Athens. While most people choose to go to Greece in summer, there are several reasons why you might prefer to go off season. One of those, might be to take part in a special event or visit a festival in Athens. Even if you aren't planning your trip to Athens around a festival, it might pay to know what is going on during any given month. For example, visitors in Athens on May 1st might find it difficult to travel. The Athens Marathon in November makes getting to the airport more difficult. 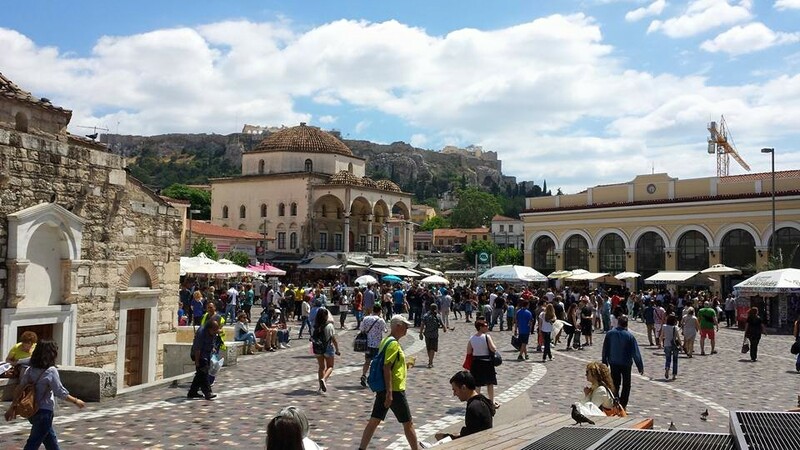 Listed below, are some of the most important special days and festivals in Athens, by month, to help you plan your Athens vacation. Note – Things change from time to time. If you are interested in visiting an archaeological site or museum on the public holidays listed below, double check their opening hours and whether they are open (or perhaps free) on the day you are planning to visit. 1st January: St Basil Day – The first day of the year is a public holiday, and most shops and other businesses are closed. Archaeological sites and museums are closed too. If you happen to be in Athens on the 1st of January, just take it easy and go for a stroll in the quiet centre. The main tradition of the day, which is often extended throughout the whole month of January, is cutting the vasilopita cake which contains a coin, and sharing it among family members or friends. The person who gets the piece with the coin, will have luck for the whole year. First Sunday in January – All archaeological sites in Athens are free to visit. 6th January: Theofania / Epiphany – On this day, which is typically a cold winter day, the custom calls for a swim! A priest throws a cross in the sea, and several people jump in to find it. Being the one who finds the cross is a great privilege. One of the biggest Epiphany celebrations takes place in Pireaus, so jump on the green metro line and head over. This tradition is in memory of Jesus Christ’s Baptism by St John. First Sunday in February – All archaeological sites in Athens are free to visit. Carnival season begins – Carnival season in Greece begins ten weeks before Easter Sunday. As an example, for 2019, Easter Sunday is on 28 April, hence the carnival season started on 17 February. The carnival season in Greece lasts for three weeks. During that time, you are very likely to come across people dressed up for the carnival. There are several fiestas organized throughout central Athens, especially on weekends. Go to Metaxourgio, Koukaki and Plaka areas and have a look. Even if you have never participated in carnival celebrations before, get a wig and some confetti and join the fun! Tsiknopempti / Meat-eating Thursday – This is a very popular custom throughout Greece. The idea is very simple – it’s all about eating meat! The custom of Tsiknopempti has to do with the seven-week long fasting period preceding Easter Sunday. Most souvlaki places in Athens will be very busy on the day, and in fact it’s an unofficial half-day off for some people. Tsiknopempti always falls on the second Thursday after the carnival season begins. For 2019, it was on 28 February. Sometimes (though rarely), it might be in March. First Sunday in March – All archaeological sites in Athens are free to visit. Kathara Deftera (Clean Monday) – This is a public holiday indicating the end of the carnival period. On that day, most Greeks will go fly a kite, and you are likely to see many of them if you go up Filopappou Hill. Several special dishes are prepared for the day, corresponding to the Greek Orthodox fasting tradition. This is basically a vegan diet with the addition of some seafood. Try dolmadakia (the famous stuffed vine leaves), mavromatika (black-eyed beans), fava (yellow beans) and taramosalata (perhaps an acquired taste). Kathara Deftera is the Monday three weeks after the beginning of the carnival. In 2019, it was the 11th of March. In theory, the next 49 days before Easter are a fasting period, but in practice very few people in Athens observe it. 6th March: Melina Merkouri Day – To honour the late Minister of Culture and former actress Melina Merkouri, all archaeological sites in Athens are free to visit. 25th March: Independence Day – On this day, Greeks celebrate their Independence Day, and the anniversary of the 1821 Revolution against the Ottoman Empire. There are several parades throughout Athens. The biggest one is in front of the Parliament, combining a school and a military parade. The Acropolis and other archaeological sites are closed, but the Acropolis museum is open and free to visitors. 18th April: International Monuments Day – All archaeological sites and some museums in Athens are free to visit. Easter Week and Easter Sunday – By far the most important religious holiday in Greece and Athens, is Easter Sunday. There are several customs on the week preceding Easter. The most picturesque is the Epitafios Procession on Friday evening, and the Resurrection on midnight Saturday. If you are in Athens on those days, go to Plaka or anywhere with a church, and observe those unique religious traditions. Note that the Acropolis and other sites as well as many museums operate on different schedule for Good Friday, Good Saturday and possibly Easter Monday. 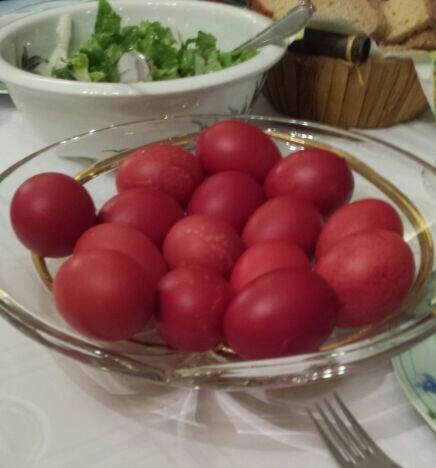 As for Easter Sunday, the main tradition after 49 days of fasting is… eating lamb and plenty of other foods, like kokoretsi (a mix of various lamb / goat insides) and red boiled eggs. The Acropolis and other archaeological sites are closed. 1st May – Like in most countries, this is a public holiday / strike day. Transportation on May the 1st is likely to be affected, and boats typically don’t run at all. The Acropolis and other archaeological sites and museums are closed. If you are in Athens, do as the locals do, and go for a swim, or just chill by the coast. 18th May: International Museums Day – All archaeological sites and museums in Athens are free to visit. Agiou Pnevmatos: Holy Spirit Day – A day off for some people, this day is the Monday which is six weeks after Easter. For 2019 it is the 10th of June. It is unlikely to interfere with your vacation in Athens, but some museums (e.g. 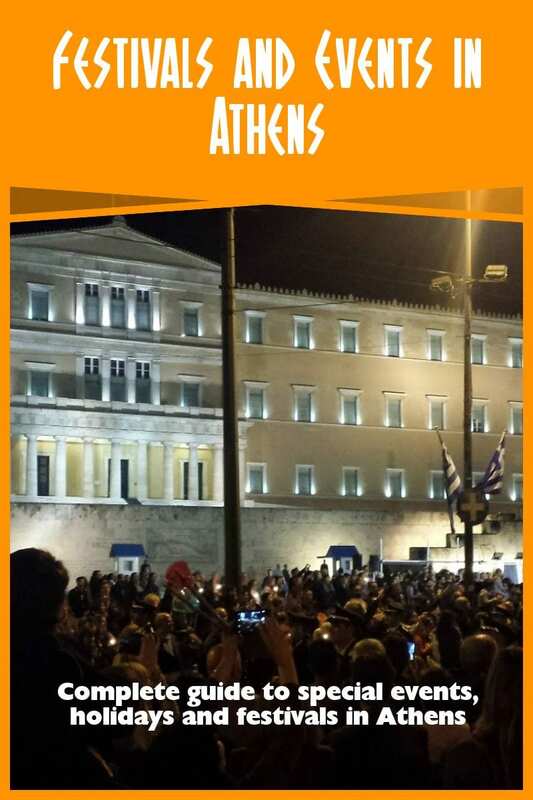 the Benaki) as well as banks and public sector offices are closed. If you are planning to travel on that day, it’s best to book your tickets in advance. Depending on the date of Easter Sunday, the Holy Spirit day might be in late May. Athens and Epidaurus Festival – This is not really a special day, but rather a series of performances that typically begin in June and end in September or October. If you are passing by Athens at that time, try to catch a performance in the ancient Herodion theatre. The standards are very high and you can often get very affordable tickets, especially if you book in advance. Even if you are not particularly interested in the performance itself, the whole experience is really amazing. 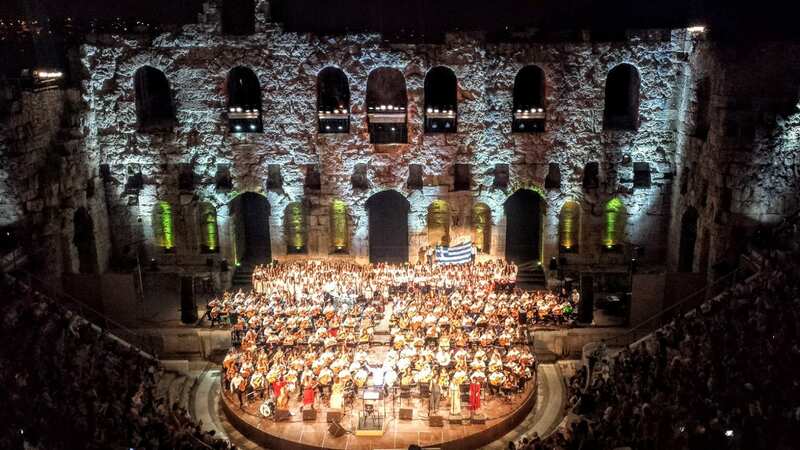 Find out more here – Athens and Epidaurus Festival. Music festivals in Athens – Several other music festivals take place throughout the summer months, such as the Athens Technopolis Jazz Festival, the Release Festival, the RockWave Festival, the Ejekt Festival, the Summer Nostos Festival etc. Furthermore, the Byzantine and Christian Museum, the Numismatic Museum and the Megaron Mousikis often host free live events in their (relatively) cool gardens. 15th August: Assumption Day – One of the most important religious days, and also one of the biggest public holidays in Greece. This is a day when Athens will be pretty dead, as most Athenians are on holiday. Interestingly, the archaeological sites and most museums are open. If you are planning to travel on or around that day, make sure you reserve in advance. After August when everything shuts down, September is the month when Athens gets back to normal and prepares for winter. There are many events going on, many of them planned last minute. The last weekend of September: European Heritage Days – All archaeological sites and most museums in Athens are free to visit. 28 October – This is a public holiday, when Greek celebrates the famous “Oxi” day. There will typically be school parades in several areas. All archaeological sites and museums in Athens are free to visit. 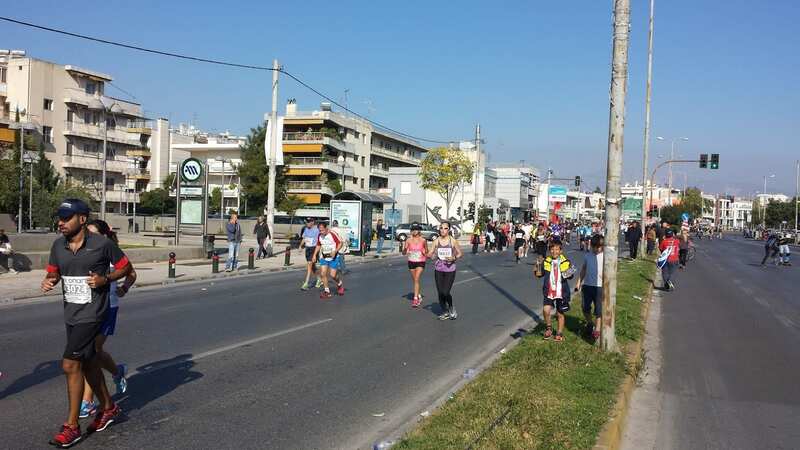 Second Sunday in November – This is the day of the Athens Authentic Marathon. Hundreds of people visit from abroad to participate, and many roads are closed on that day. If you are planning to take a taxi to the Athens airport, allow plenty of time, though the metro might be a better option. For 2019, this will be on 10th November. 17th November – This day, is the anniversary of the 1973 Polytechnic Uprising against the dictatorship. There is a march towards the US Embassy close to Megaron Mousikis metro, and as such several metro stations start closing after 14.30-15.00. The march often ends in demonstrations and riots, so if that’s not the experience you would like, avoid the areas around Megaron, Evangelismos, Panepistimio, Exarchia and Omonia. Check out this guide to neighborhoods in Athens. 6th December – This day is the anniversary of the death of Alexandros Grigoropoulos. He was a 15-year-old student, and his deathsparked a series of riots that went on for several days in 2008. Similarly to the 17th November anniversary, you might want to avoid some central areas, most notably Exarhia, Omonia and Victoria. 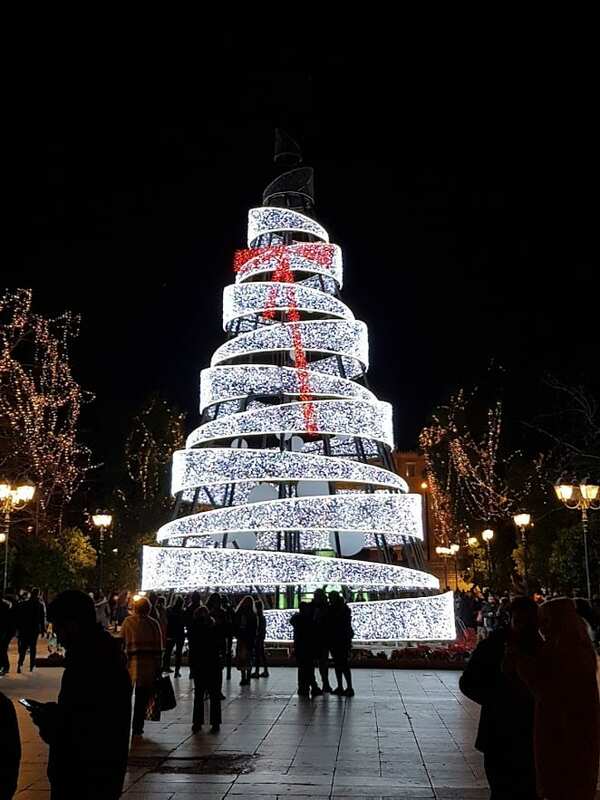 Christmas Day – Like in all Christian countries, Christmas in Greece is primarily a family celebration, so you will find that Athens is very quiet during that period. As you can imagine, all archaeological sites and museums in Athens are closed. Public transportation runs on reduced schedule. Sharing and caring is all that! If you are an avid Pinterest user, please add this pin on Athens festivals to one of your boards!